European engineering meets Australian manufacturing. The Suntech roofing system revolutionises retractable roofs. It is 100% waterproof, very strong, has the option of remote controllable lights. When extended the vinyl membrane seals to the frame not allowing for any water to spill over the sides. Max Width is 13mtrs wide for 1 motor. It can have multiple units back to back to get greater widths. Max Projection is 10mtrs (Smooth model). Suntech Pure = fixes to existing structure. Suntech Eva = self supporting with posts and rails. All we need is a wall to mount on. 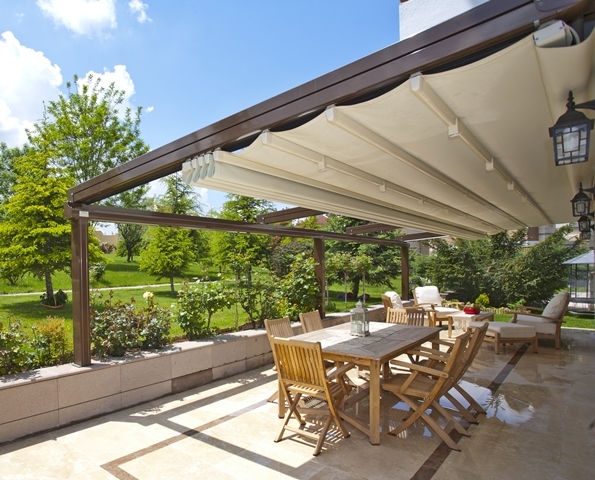 Suntech Novo = as pictured with posts and gutters for a fully weather proof system. Suntect Smooth = max 10mtr projection. Pantone announces its 2018 Colour of the Year – and it’s not what we expected! Check out out special offers!